This is one of the students' impressions of a new kata; he had just made the belt rank where he could start learning new ones. He was thrown by the instructor in one of them without knowing what was going to happen - ryote dori attack, tai otoshi defense (shodan kata 9). This is his impression of taking the fall (which he did perfectly). 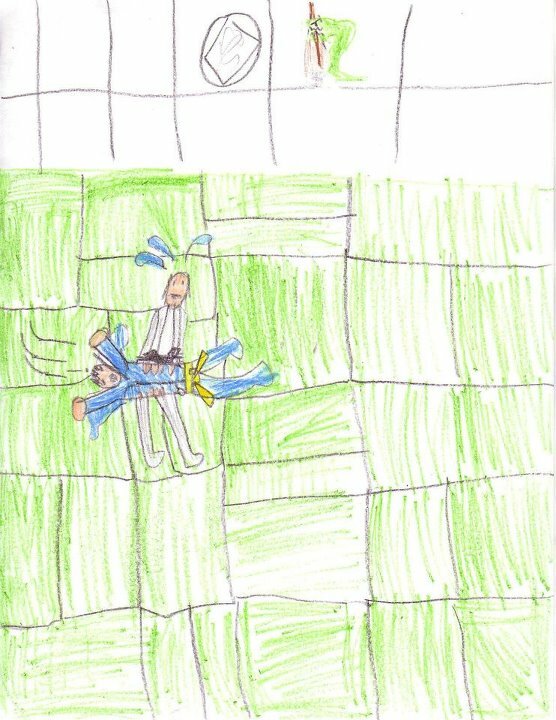 He accurately depicted the mon, the hepi, and even that the mats are laid in different directions!